Nintendo’s new retro console, the SNES Classic, will come with a Rewind feature that allows you to go back in time when you screw up. It’s too bad you can’t use it to jump back to 4am and pre-order an SNES Classic. Last night, perhaps deciding that the NES Classic wasn’t enough of a debacle, Nintendo allowed both Amazon and Best Buy to open up pre-orders for the upcoming SNES Classic, which comes out September 29 and will offer 20 excellent classic games (plus Super Ghouls N’ Ghosts). If you’re reading this, you’re already too late. Pre-orders sold out immediately. Best Buy hit at around 1:30am ET, while Amazon went live closer to 5am ET. 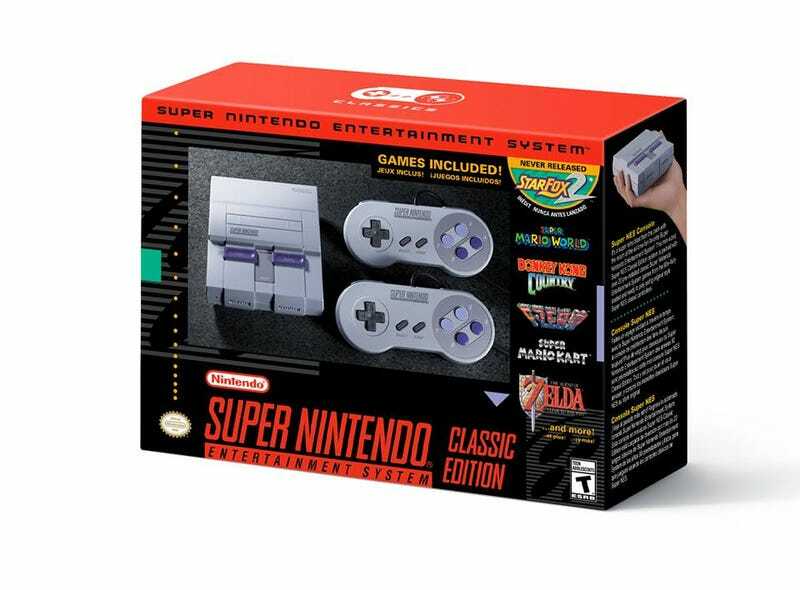 There will be other chances to get this system in the future—Nintendo updated the SNES Classic website saying that pre-orders will also be available at retailers like GameStop and Target—but this is an inauspicious start. Nintendo has promised that, in contrast to the NES Classic, more supply will be available this time around. What the company hasn’t said is that you’ll have to stop sleeping to get it. Here’s a tip if you do want an SNES Classic: We just heard that GameStop told employees this morning to expect a “special announcement that will require immediate attention” later today. Keep an eye out.